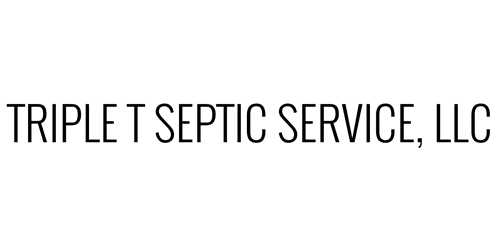 Founded in 2014, Triple T Septic Service, LLC, was formed to satisfy our customers' needs for honest, dependable and reliable service. We are a full service septic pumping company. We are partnered with a local waste water treatment plant to refine our waste water into a reusable resource; Thereby reducing our environmental footprint. We strive to build trust with each customer and create meaningful relationships with those we interact with. We are community minded and we exist to create experiences where passion and purpose come together. Offering full service septic pumping for residential and commercial systems, lift stations and sludge holding tanks. We offer tank location and dig out services. Portable restroom rentals from family reunions, fairs and festivals and all events in between. We have units specifically designed for weddings and kids events. We support various charities on specified units. Often times simply pumping the septic tank, we can resolve a plugged/clogged drain. However, if that doesn’t work, we have numerous tools to aid in drain clearing. We are constantly adding new tools to resolve drain related issues. "Big Enough To Serve You, Small Enough To Know You"
From the moment you call in for our service, you are treated as if you are the only customer for the day. When we arrive, we set aside all other customer issues to focus solely on you. We have not and will not forget you, the customer, are our most valuable asset. We are a family owned and operated business. Putting ourselves in our customers place, we realize everyone has concerns from cost of service to timeliness to meet your needs. Oftentimes, we put off dinner or work late in the evenings to get the customers issue resolved. We understand the cost of services are important to customers and we try to take the time to educate and answer any questions our customers may have. Resolving your issue and your satisfaction are our #1 priority. "A great company owned and operated by a great family!" "We had an issue and called Triple T and they came the same day!! They were the best price and did a great job!! Very friendly!!" "Triple T came out the same day I called. Excellent service in my time of need! If you haven't had your septic pumped within the last 5 years, give them a call before it's too late!" "I was in Mt Nebo with a Disaster Reluef organization. We struggled with our first Porta John company. After the switch to Triple T our service has been EXCELLENT!! We even have pink Porta Johns for our ladies bunk trailers!" We know our customers are what keep us in business. This is why we strive to treat every customer as if they are the most important . . . because they are! We believe in our communities and prove this by sponsoring numerous organizations. We will make every possible effort to respond to a customers emergency situation the same day. Day or night, we will be there! We are extremely thankful for military men and women. We try to show this thru various sponsorships, discounts and promotions. Industry leaders and local health departments recommend under normal conditions septic pumping every 3 to 5 years. One of the many services we offer are reminders when it is time for service again.